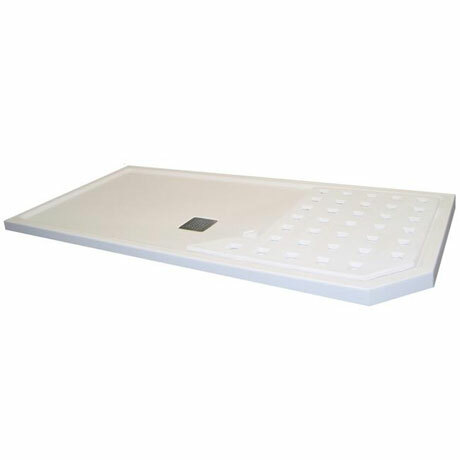 The Sculptures 1700mm Walk-In Shower Tray is designed for use with the Sculptures Wave Walk-in Shower Enclosure and comes in a classic White finish. Manufactured from Roman Stone, this low level tray is strong and durable. The integrated duckboard style drying area is removable to allow for easy cleaning. All Sculptures Trays come complete with a stainless steel designer grid waste.